Get in the Halloween Spirit with Rocky Horror! Get in the Halloween spirit at State Theatre New Jersey on October 26 for the ultimate audience participation film, The Rocky Horror Picture Show! The 1975 cult classic musical comedy film stars Tim Curry, Susan Sarandon, Barry Bostwick, and Meat Loaf! After originally failing at the box office, Rocky Horror played on April Fool’s Day of 1976 as a midnight show at the Waverly Theater in New York City. The Waverly was known for producing successful midnight shows, so despite the movie’s dismal reviews, a large audience was still present that night. Music from the movie was played before the showing of the film, warming up the audience and creating a party atmosphere. The audience naturally began to respond, booing the villain and cheering on the heroes as the plot developed. Soon enough, a whole group of regulars started to attend the show weekly, establishing specific actions and participation during scenes throughout the movie. On Halloween in 1976, people attended in costume and talked back to the screen, and by mid-1978, Rocky Horror was playing in over 50 locations on Fridays and Saturdays at midnight. 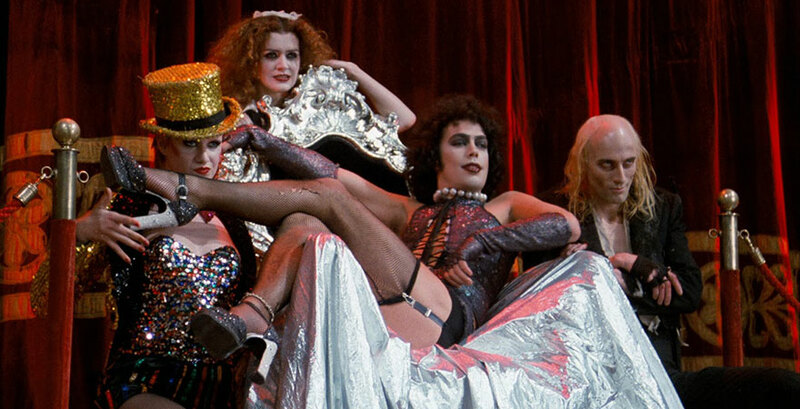 Today, Rocky Horror continues to be a cultural phenomenon all over the world. Come sing-along to the songs, dress up if you want to, and join us on October 26 at State Theatre New Jersey for the Rocky Horror Picture Show for a Friday night you'll never forget!